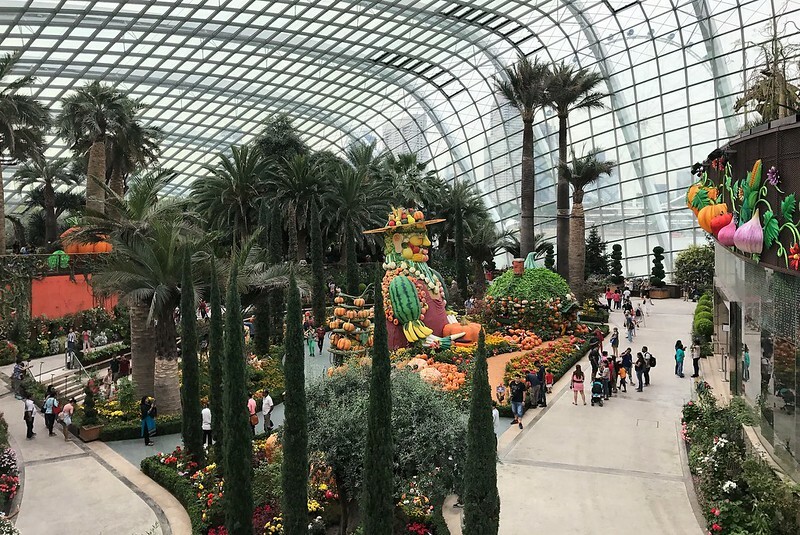 The award winning Singapore tourist attraction of Gardens by the Bay features unique architectural design along with a majestic horticultural experience. 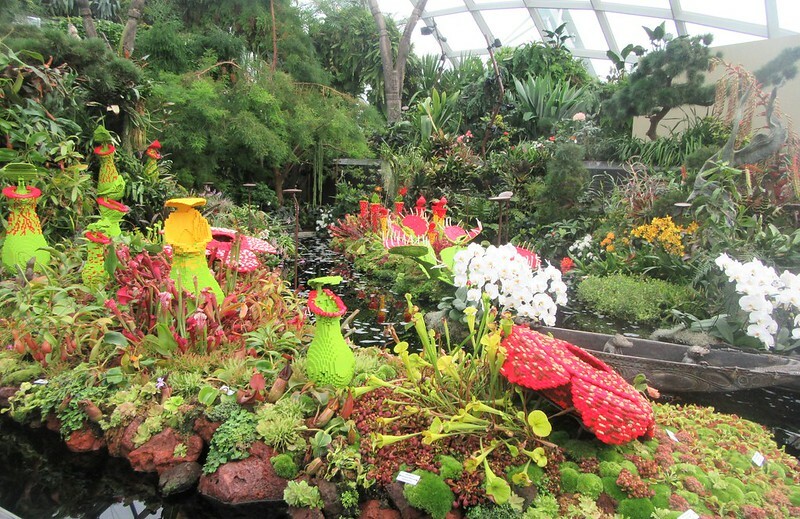 Discover diverse flora and fauna from around the world in these cooled conservatories. 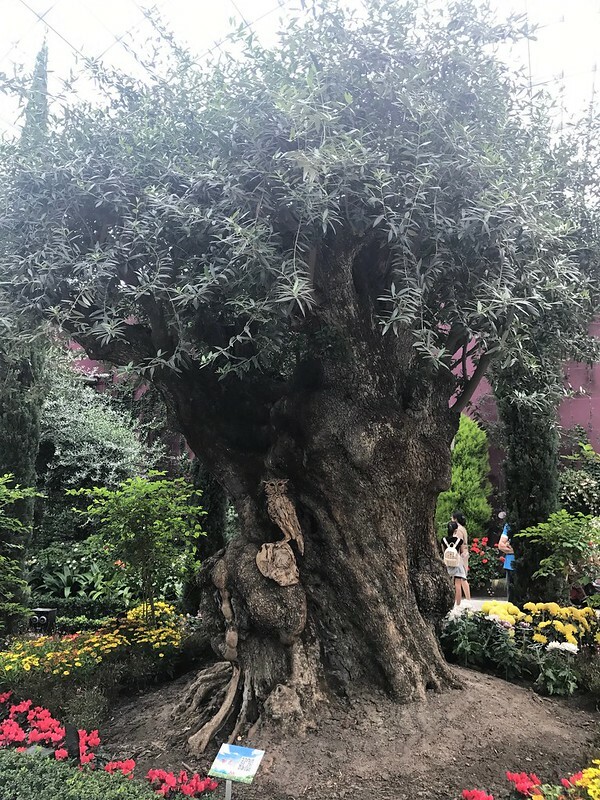 The Flower Dome houses thousand year old olive trees among the rest of the 30,000 plants, beautifully displayed across nine different gardens. 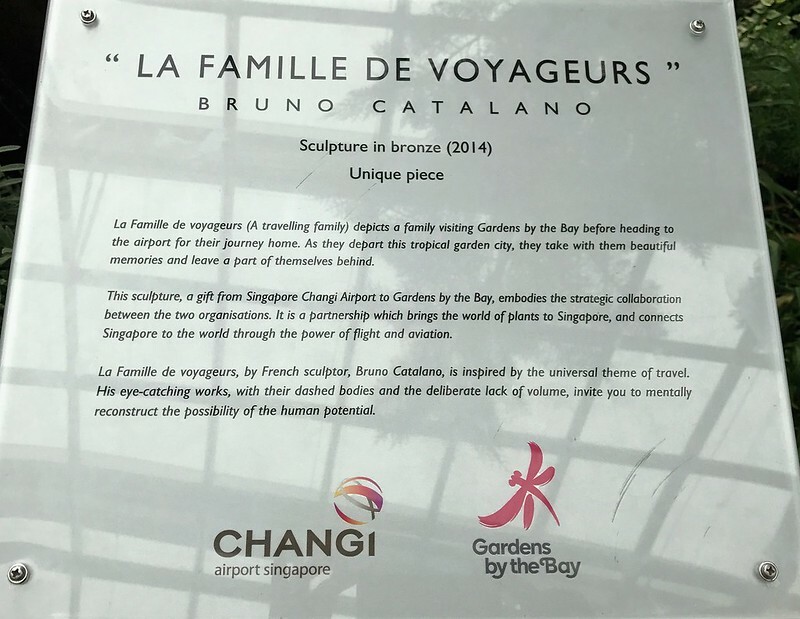 We were surprised to discover we shared the same surname with the sculptor Bruno Catalano, whose work is displayed in the Flower Dome of Gardens by the Bay! 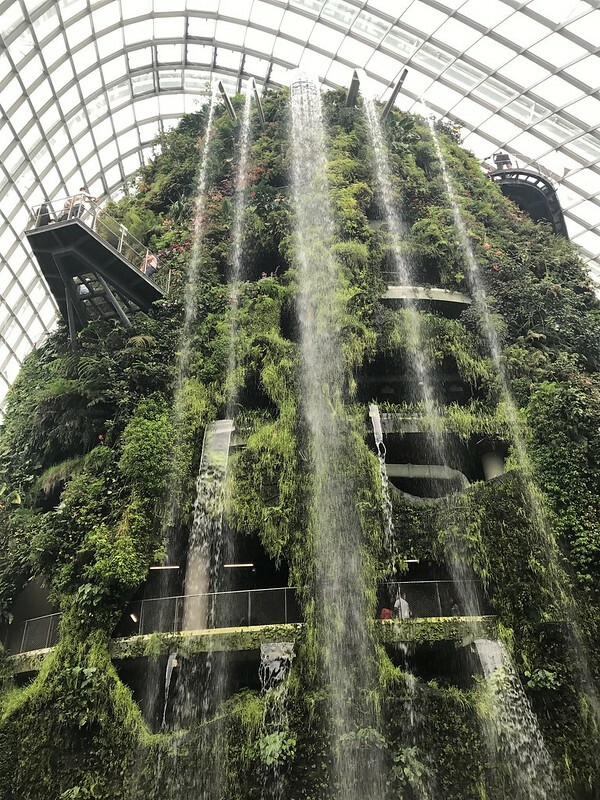 The Cloud Forest features the world’s tallest indoor waterfall. With interactive discovery areas and a breathtaking 35 metre man made mountain, the cloud walk and the tree top walk, which are 2,000 metres above sea level, creates the impression of walking within the clouds! 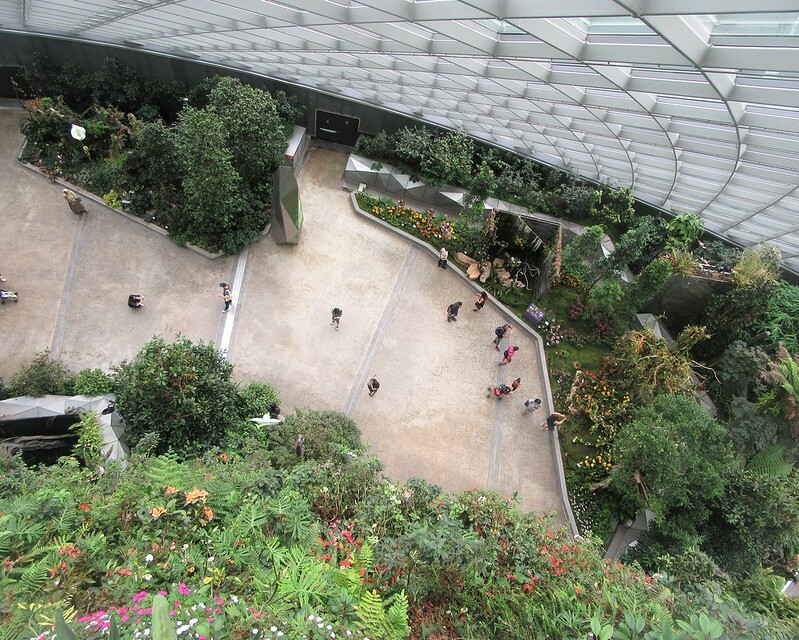 There is so much to discover at Gardens by the Bay. 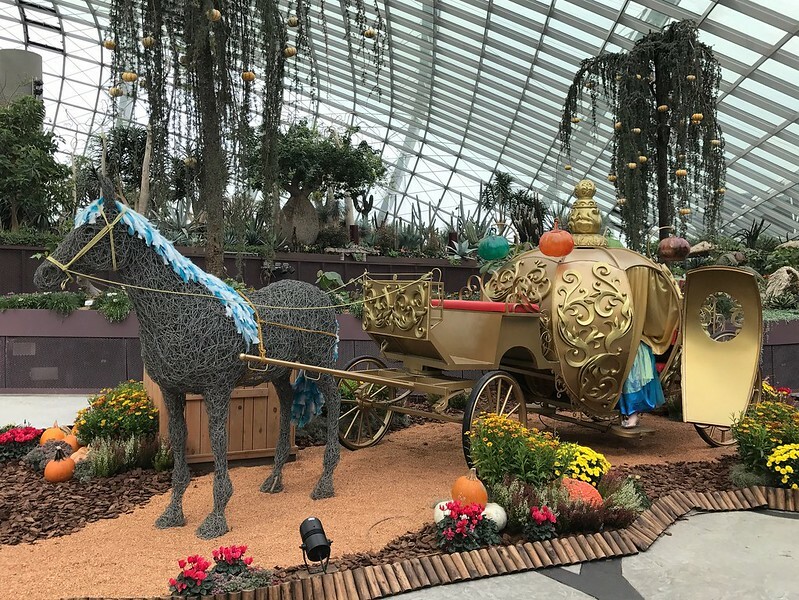 Don’t miss the Secret Garden, the OCBC Skyway, where the Supertrees are magically bought to life each evening with a light and sound show, the children’s garden with fountains and water play areas and the delicious dining district of Satay by the Bay, where you can feast on enticing local dishes at the food court. 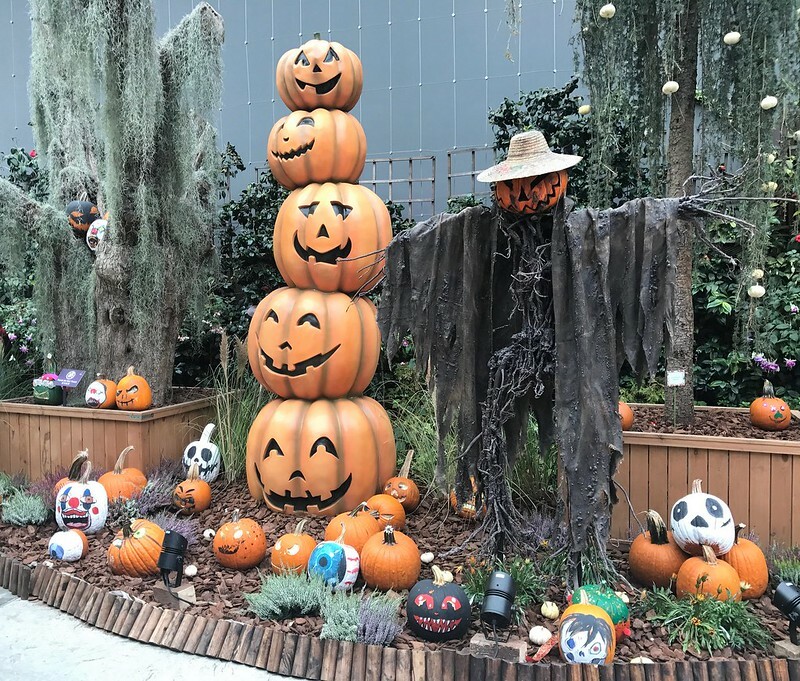 As we were there in September , the Autumn Harvest special attraction was present throughout the Gardens. 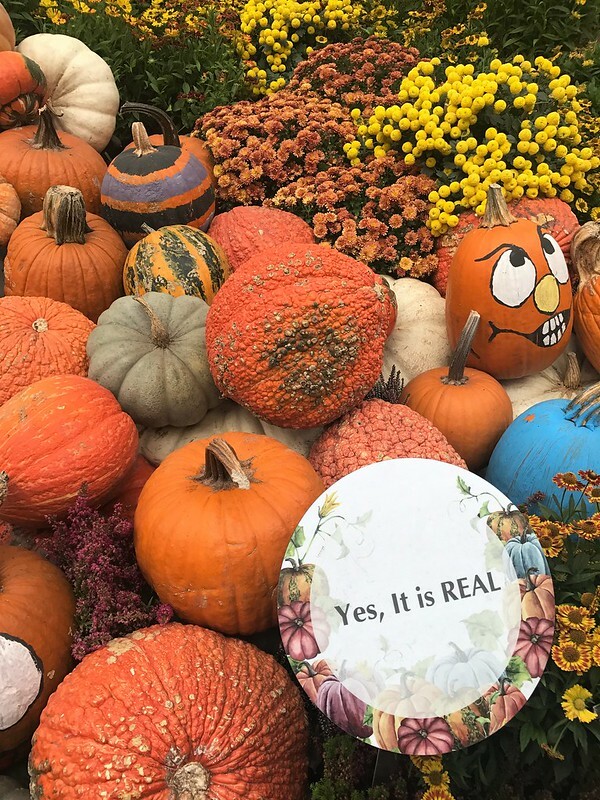 Lavish flower fields and an abundance of orange pumpkins of all shapes and sizes, traditionally incorporated the Halloween theme through the garden trail. 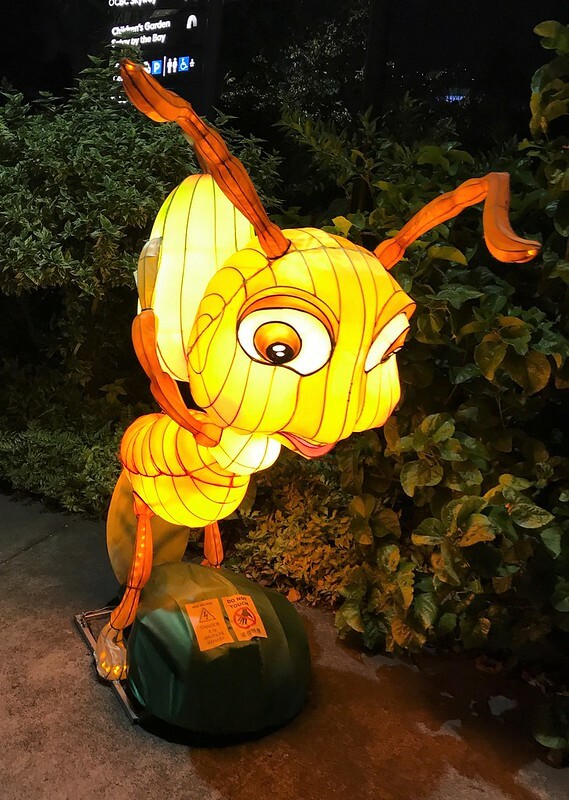 The vibrant colours and exquisite handcrafted lanterns were a joy to view. 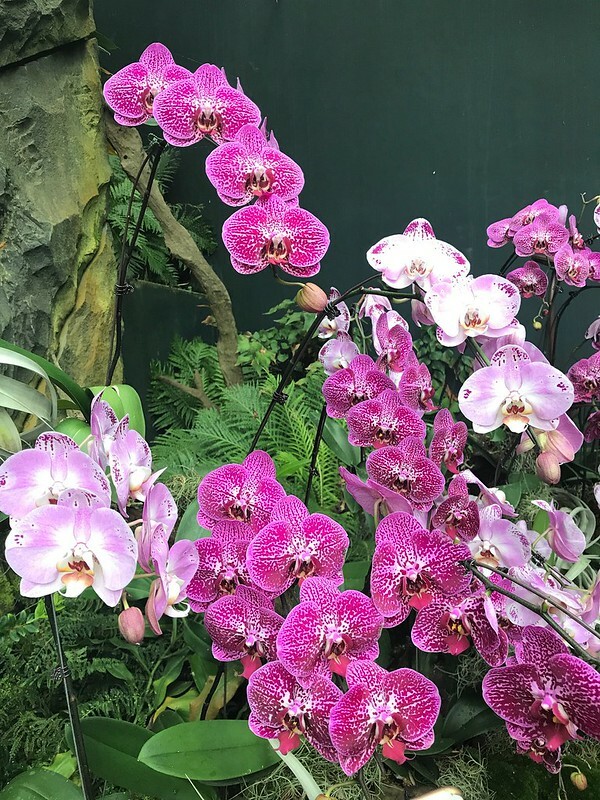 Guided tours are also available, so if you are in Singapore make sure you immerse yourself for the day in this fascinating and unforgettable adventure. 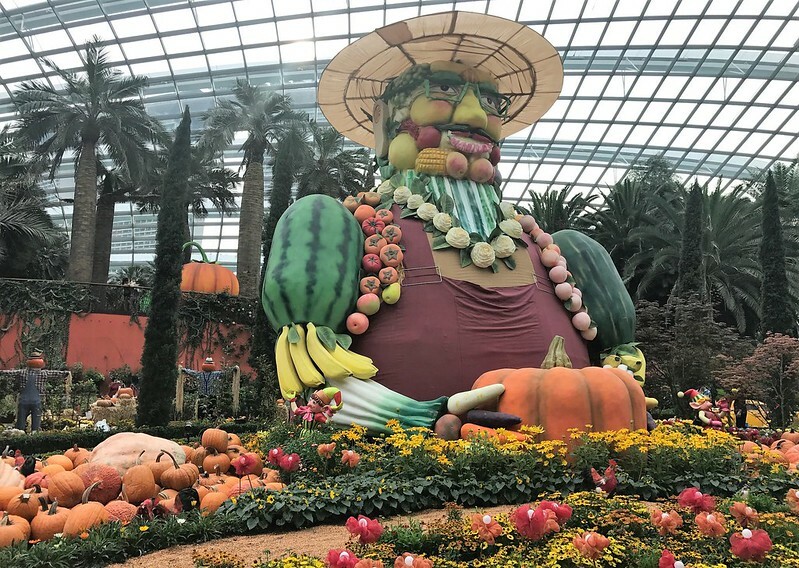 For information, opening times and prices, click here to take you to the Gardens by the Bay website. Great pics. Thanks for introducing me to these gardens. It looks like a dream, I imagine myself feel a little like alice in the wonder land on being there. 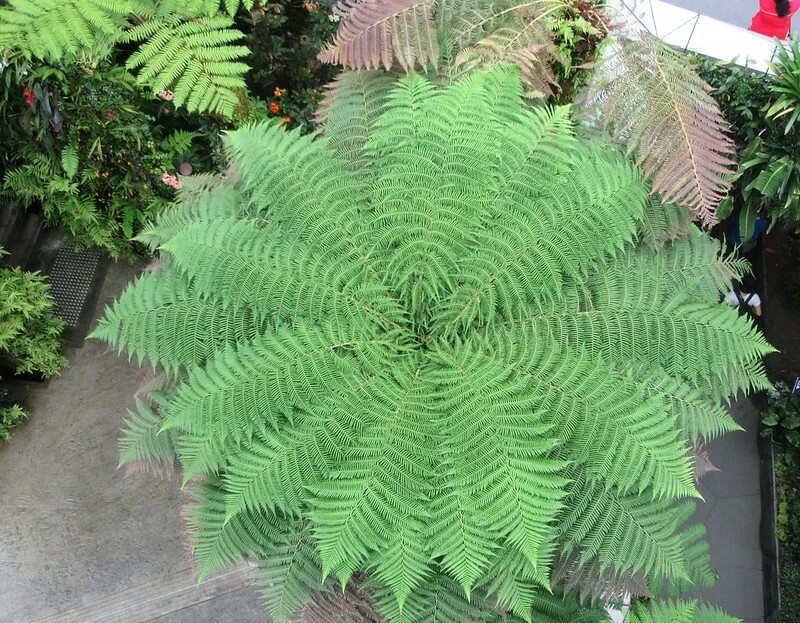 Beautiful colours – and that fern, what a stunning specimen. I can’t believe this is all inside this is phenomenal! 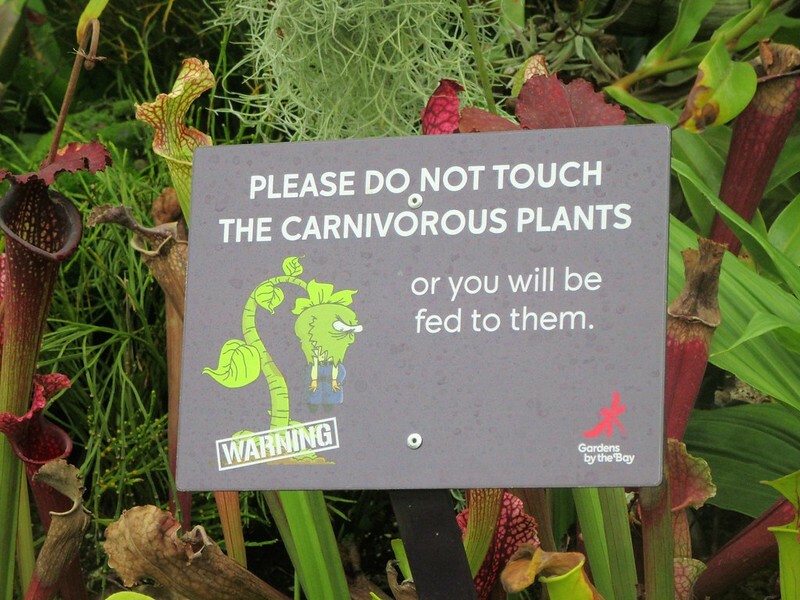 This looks so cool, and with lots of fun and crazy plants to discover. Looks like a fantastic place to visit – I love the autumal decor too!! That tree top walk looks a bit scarey but I’d love to try it. What a feast for the eyes, Lorelle! It has been a while since we visited these Gardens, so thank you for the treat! My favourite is the huge tree with the owl sitting in it! I definitely will – haven’t been there in ages! The cloud forest really caught my eye too! So beautiful. You captured the flowers very nicely Lorelle. 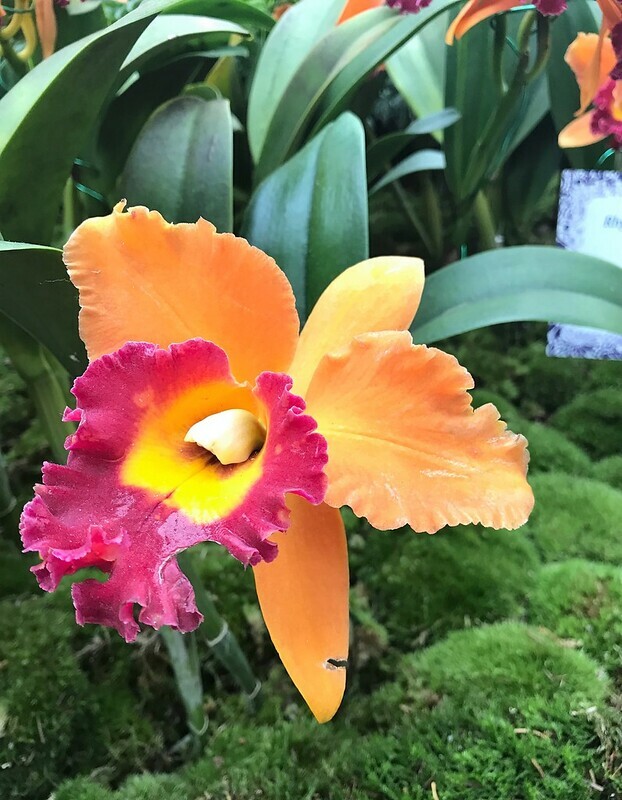 🙂 Are those lego flowers in the cloud forest dome? Amazing! Thanks Amor. 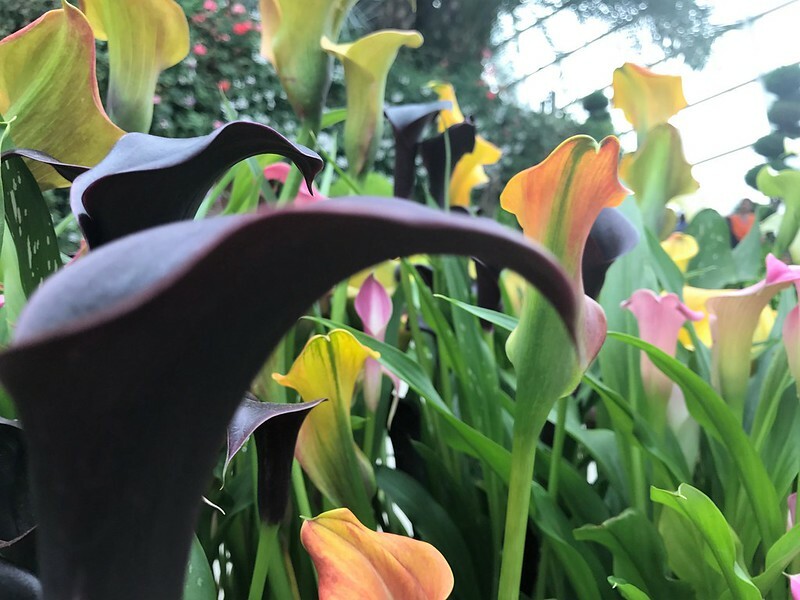 My daughter is quite the photographer! We visited in late summer and the gardens were beautiful. I would love to visit again in a different season. I just love the main photo here Lorelle, but they’re all really good. 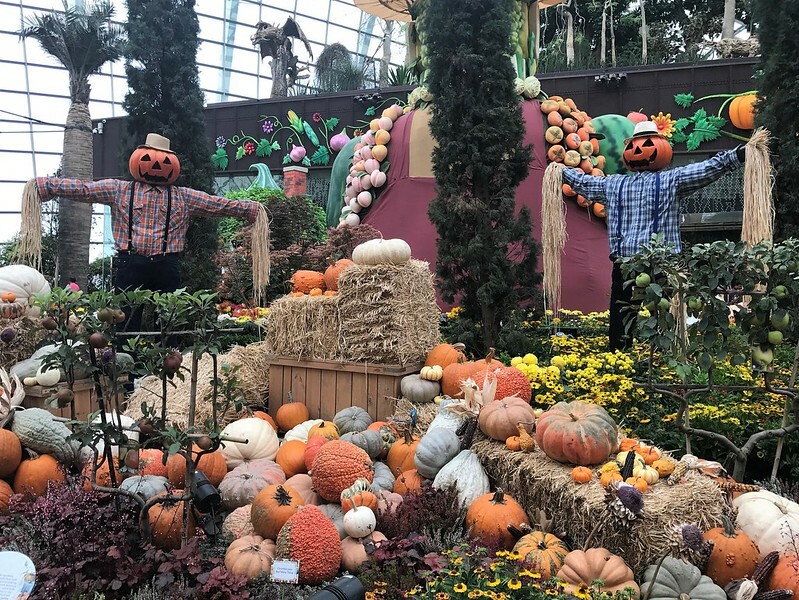 Such a variety of flowers and pumpkins!! Just a great post to read. 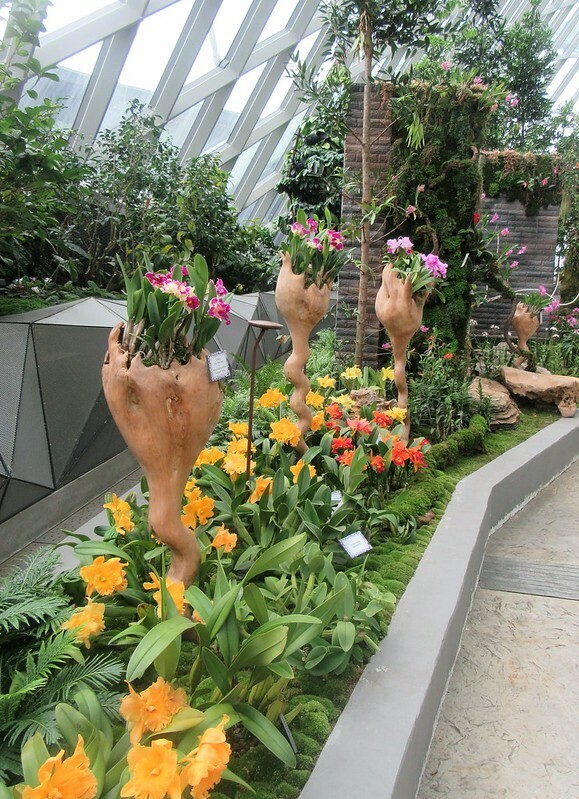 I really want to visit the gardens by the bay when I go to Singapore. It’s definitely on my bucketlist! How gorgeous photos You showed to us. I am glad that I had possibility to see them. Thank You. WOW! 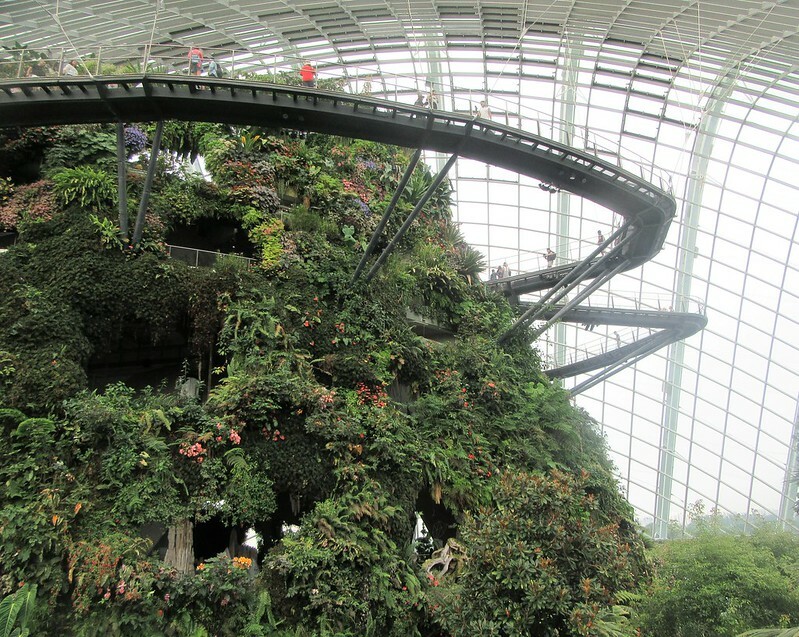 That indoor cloud forest looks absolutely amazing. Your pictures are beautiful too. 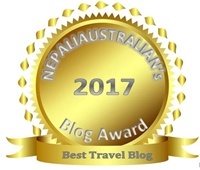 Thanks so much for bringing us on your journey! 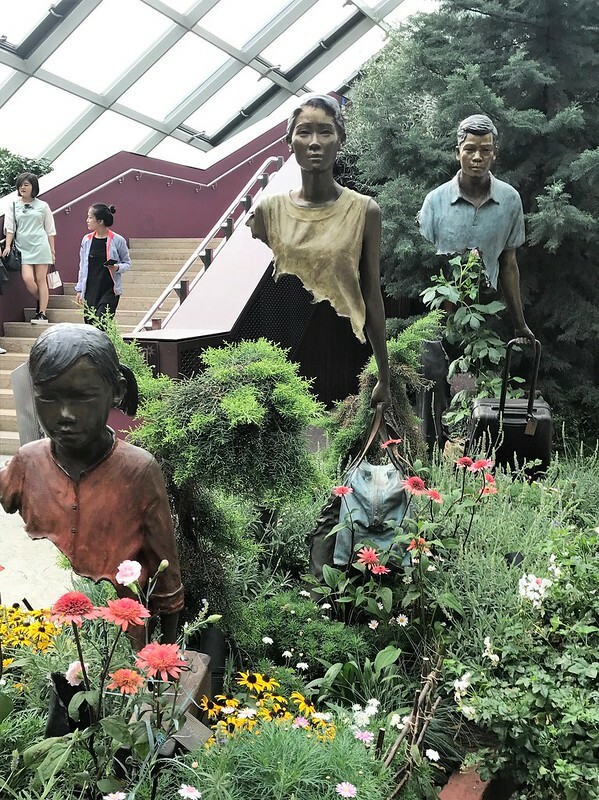 Those gardens are amazing! I’ve been there in August 2016 ;-). They change the interiors depending on the season – how cool is this! Your great pictures reminds me about my greatest trip ;-).